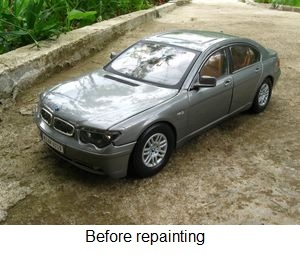 Repainting a diecast model is a somewhat challenging but very rewarding endeavor. Sometimes model makers don’t offer a wide choice of colors for their models and usually the best choices are the ones that are neglected. Or you just want a different color than the rest. Whatever the means, repainting a diecast requires some special effort but it is definitely anyone can do. If you have the patience for it. That is the key for a good paintjob. Especially on a model where each flaw is magnified due to the scale diferrence. If you don’t rush the job, you will have quite the gem to display later on. There are several roads to take when repainting a model. They all have their ups and downs and are preferred by different collectors. Here we will try to stick to the basics and most popular techniques. 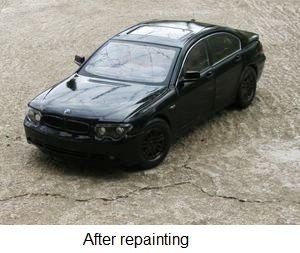 An essential part of any repainting is the preparation. It starts even before you touch the model. This means getting the needed supplies and making some of the decisions. First is choosing the right color. This is all up to your personal tastes and ideas. Then you have to obtain the color. For this you can go to any store that sells automotive paint and either order off the shelf or have a paint custom mixed to match an existing car color. 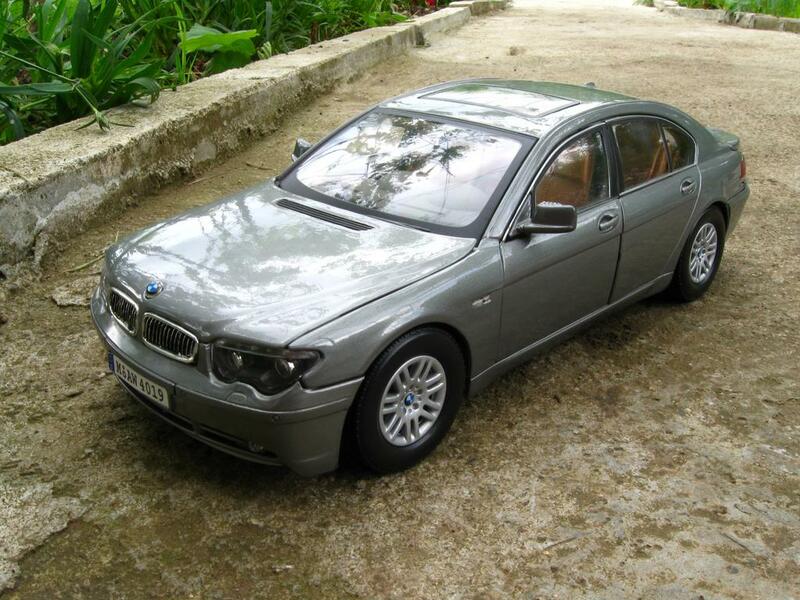 For this you will need the paint code which usually be obtained through the internet or by asking the local car dealer. You also need to buy primer in a spray can, paint stripper and wet sandpaper in at least three grades – 600, 800 and 1200. It is recommended you get some car wax as well. You can use the one for your real car of course. Now we begin with part two of the preparation, getting the model ready. Here the patience part of the equation starts to kick in. You have to completely disassemble the model. All small parts that can come off must do so. Sometimes the makers use glue instead of screws which will make your job a little trickier. Don’t rush because you might break something you don’t want to break. Store carefully every part in a box. You might want to take a few pictures during disassembly just in case you forget the order of the parts later on. This is especially helpful if you’re dealing with a more complicated model.